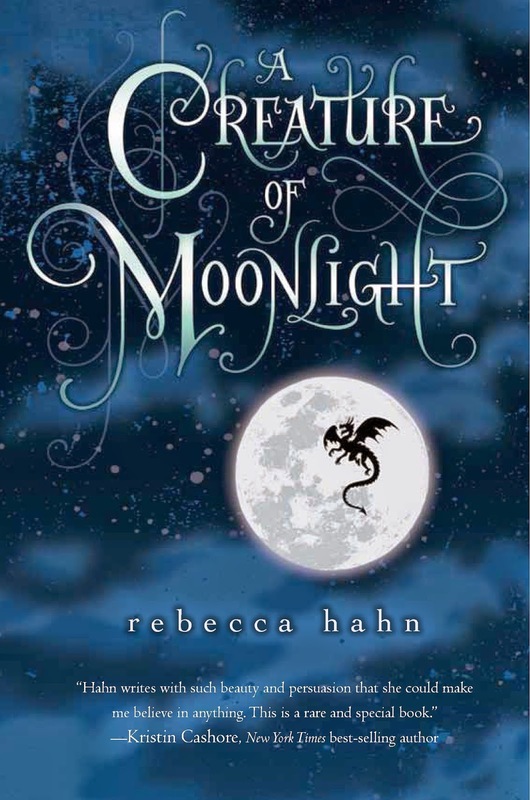 The Page 69 Test: "A Creature of Moonlight"
Rebecca Hahn grew up in Iowa, attended college in Minnesota, and soon afterward moved to New York City, where she worked in book publishing and wrote A Creature of Moonlight, her debut novel, on the side. She now lives back in Minneapolis, with the winter cold, the wide sky, and many whispering trees. The lady is waiting near the wall, but I don’t cross over. She’s back a bit in the woods. It seems an age since I last saw her, though it can’t have been more than an hour. She’s watching me. She’s expecting me to come to her. She blinks; her eyes go dark for a moment. “What sort of vengeance, little flower?” she says, and her words twist this way and that through the air, lightly quietly in my ear. But she’s wrong. My Gramps lies dead in our garden. My mother never saw me grow. And the man who ruined both their lives walks free, unpunished, as happy as he ever was. And I know of things this lady may not, with all her mysteries, with all her secrets. I’ve heard tales of sorcerers and witches, away in far-off lands. I’m half dragon, yes, and that half is pushing me on, across the wall, into the woods. But I’m half human, too, and could be I can do things this lady would never dream. It’s interesting to me that this is page 69, because not only does it illustrate several threads of the story, but it’s also an early major turning point for the narrator, Marni. Throughout the book, Marni is pulled between two worlds: that of the woods and that of the human kingdom. For the most part, the woods is the center of the magic in this book. The lady is a magical creature, and the dragon also lives in the woods, along with griffins and phoenixes and fairy-like creatures and spirits. Part of the pull of the woods for Marni is exactly that magic: its beauty and its wonder. The human world pulls her in other ways, through her connections to people and through everyday joys: riding a horse, dancing at a festival, etc. On page 69, Marni’s two sides come together: she realizes that she can bring the magic of the woods into the human realm, because of her double heritage. This gives her an option that she wouldn’t otherwise have and (perhaps ironically) a reason to resist the woods’ temptations. Maybe this page is a decent representation of this story, then, because Marni spends much of the book resisting being pushed one way or another, trying to find her own way. Learn more about the book and author at Rebecca Hahn's website. "The Patron Saint of Ugly"
"Child of a Hidden Sea"
"All Day and a Night"
"On the Road to Find Out"
"Hell With the Lid Blown Off"